If the issue number (i.e. BLG-1234) exists in the commit log, the commit log can be registered as a comment on the issue. 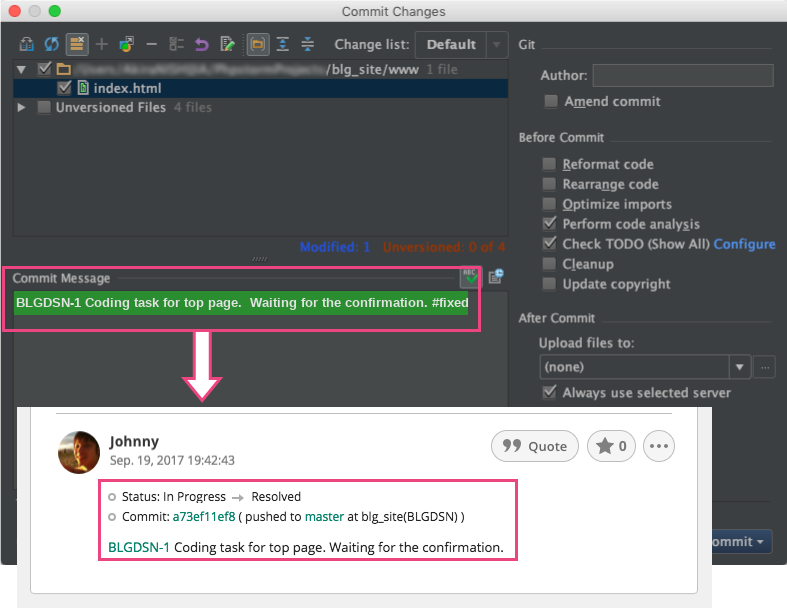 By adding unique keywords to the commit log, the issue's status can be updated. * Administrators can implement this feature by checking "Integrate commit and issue" in Git settings.